YouTube's ad-free subscription service, rumored since last fall, could compete with rivals such as Spotify and Beats Music by charging premium users to stream a video with every track, among other things. Although the service won't come out for a few months, it's likely to be a formidable player in the streaming-music market, which is slowly taking over the digital-music business from iTunes-style downloads. But licensing deals over the service are contentious, as independent labels, representing stars from Taylor Swift to Arcade Fire, accuse YouTube of forcing them into lower rates. "What we're being offered is significantly less than what the [major record labels] were offered," says Ben Swanson, co-owner of the Secretly Group, an indie that represents Yeasayer, Antony and the Johnsons and others. "It's not tenable for us to be able to agree to those terms." According to reports, YouTube plans to give roughly 55 percent of the revenues from its new service to labels and 10 percent to publishers — lower payouts than those from rival services. "We're getting treated fairly and equitably by Spotify, Rdio, Rhapsody and a lot of other services," says Rich Bengloff, president of the American Association of Independent Music, which represents dozens of labels. "We're not being treated as equitably by YouTube." In addition, some who are negotiating with YouTube accuse the online-video giant of giving major record labels such as Universal and Sony lower rates — but accepting larger advances or other significant payments from the big companies to make up the difference. Indie labels are furious about this, because, due to a "negative most-favored-nation clause," all labels must accept the same terms, and lower-revenue indies can't possibly afford to pay millions in advances. Some have accused the big companies involved in the negotiations of transforming the online-content marketplace into a shady deal where the biggest companies get the best rates. "It's equivalent to being banned from the radio," says Marc Ribot, a veteran experimental jazz musician who is protesting YouTube's actions as part of a group called the Content Creators Coalition. "This is lousy. We support the indie labels on this because we don't want to see them strong-armed. We want them to be paid." 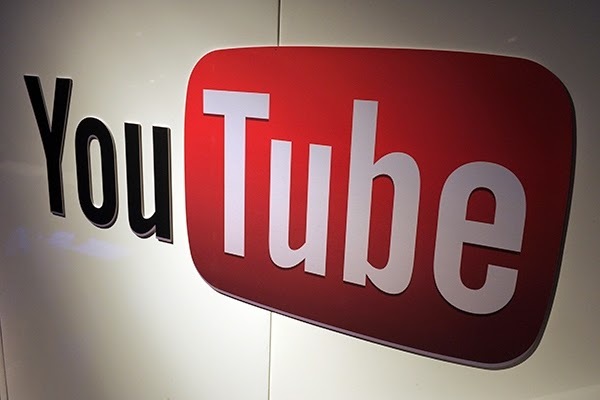 Indie labels have accused Google-owned YouTube of threatening a "mass cull" of their content on the existing video website, which would block a crucial promotional tool. YouTube reps deny that accusation, saying any withdrawn content would affect just 5 percent of the company's label partners, mostly outside the U.S. They also point to a report that one indie label has enthusiastically agreed to the deal and declares it identical to that of larger labels. Sources close to YouTube say record labels big and small need to receive the same contract terms in case the service winds up being "bundled" with a particular type of cellphone from, say, T-Mobile or AT&T. That way, YouTube won't have to renegotiate thousands of individual label contracts for every new deal. YouTube has refused to comment on what the streaming service might look like, although sources say its "premium" model will charge users a monthly fee for extra features to avoid advertisements and add features such as offline airplane-mode listening. "Our goal is to continue making YouTube an amazing music experience, both as a global platform for fans and artists to connect, and as a revenue source for the music industry," YouTube spokesperson Matt McLernon said in a statement earlier this month. "We are excited that hundreds of major and independent labels are already partnering with us." But many indie-label reps reached by Rolling Stone aren't as excited. "My take is it's gamesmanship, and it was initially reported as more drastic as what YouTube was proposing. My guess is YouTube isn't going to be taking anything down," says a source who didn't want to be identified due to non-disclosure agreements. "But the general sense is that indie labels are getting the raw end of the deal — I think that's pretty true."